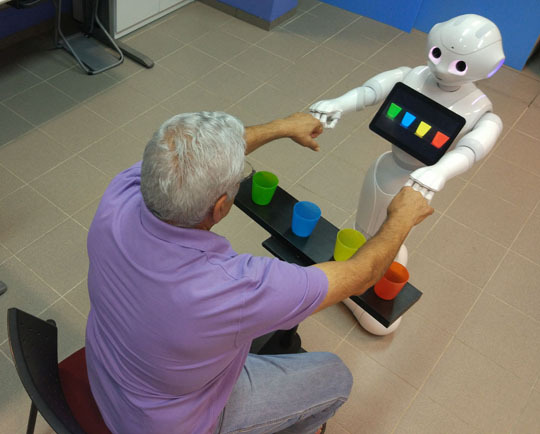 Artificial intelligence poses new challenges to society. That’s why Freiburg researchers from the fields of neurotechnology, computer science, robotics, law, and philosophy are teaming up for a year to grapple with issues concerning the normative and philosophical foundations of human interaction with artificial intelligence as well as the associated ethical, legal, and social challenges. Just under a year ago, Facebook presented a new function: an algorithm designed to identify whether a user is in danger of committing suicide. The “preventive tool,” as it was termed by its developers, combs through posts, videos, and comments made by members for keywords that supposedly signal an intention to commit suicide. When the system discovers a conspicuous post, it informs the platform’s staff, who then contact the family or first aiders in the case of an emergency. The person concerned could therefore receive a knock at the door from the police or paramedics shortly afterward – all because an artificial intelligence calculated a high probability of suicide risk. The algorithm is only in use in the USA today, but Facebook has announced its intention to introduce it worldwide in the future – with the exception of the European Union, likely due to legal complications. “The result of these analyses is a far-reaching violation of personal freedom, and the more specific such predictions become, the more they limit rights,” says Dr. Philipp Kellmeyer. The neuroscientist sees Facebook’s algorithm as an example of the challenges posed to society by the development of artificial intelligence. Kellmeyer has teamed up with the computer scientist and robotics specialist Prof. Dr. Wolfram Burgard, the jurist Prof. Dr. Silja Vöneky, and Prof. Dr. Oliver Müller from the University of Freiburg’s Department of Philosophy in a research focus at the Freiburg Institute for Advanced Studies (FRIAS). The team will be grappling for a year with issues concerning the normative and philosophical foundations of human interaction with artificial intelligence (AI) as well as the associated ethical, legal, and social challenges. The research focus “Responsible Artificial Intelligence – Normative Aspects of the Interaction of Humans and Intelligent Systems” will serve as a point of departure for and the core of further projects involving the participation of researchers from the Cluster of Excellence BrainLinks–BrainTools, scientists working at the new Intelligent Machine-Brain Interfacing Technology (IMBIT) research building, and FRIAS international fellows. In addition to a technical solution, people are thus increasingly also calling for a new legal framework and new legal instruments for the use of AI. With regard to brain–computer interfaces, for instance, so-called neurolaws are under discussion. They would make it possible to restrict the lawful uses of systems capable of extracting people’s views and preferences or other personal information from brain data. Plus, they could limit the commercial exploitation of such data by companies. Facebook, for example, is also looking into interfaces enabling the direct translation of brain activity into user input. 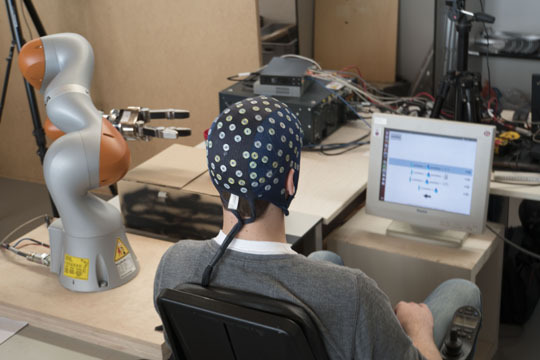 The company presented its research intentions in this area using the slogan “So what if you could type directly from your brain?” in 2017. For Kellmeyer, the main problem with this is a lack of transparency: “It is wholly unclear what happens with the enormous amounts of data collected in the process. What happens, for example, when sensitive personal information pointing to a disease like epilepsy is hidden in these data?” A conceivable solution might involve special legal protection for data containing information on the state of a person’s health: “In the future, an algorithm that has previously analyzed a person’s posts and browsing patterns and perhaps also recorded how often he or she leaves the house could predict whether that person will soon suffer a depressive episode. However, statistics like this would need to be viewed as biomedical data,” believes Kellmeyer. This term has traditionally included data from medical examinations, such as blood test results or blood pressure readings – but due to the development of AI, this definition could be outdated.